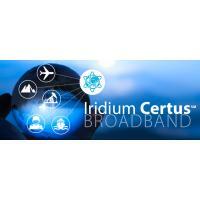 MCLEAN, Va., May 02, 2017 (GLOBE NEWSWIRE) -- Iridium Communications Inc. (NASDAQ:IRDM), the only communications company with 100 percent global coverage, has announced that the first set of Iridium NEXT satellites have been integrated into the operational constellation and are providing excellent service to Iridium customers. Prior to achieving this major program milestone, the new satellites went through a rigorous testing and validation process that demonstrated that they met all performance requirements and even exceeded many. The Iridium NEXT satellites are already providing superior call quality and faster data speeds with increased capacity to Iridium customers. In addition, the Company has announced the targeted launch date for the second payload of ten Iridium NEXT satellites as June 29, 2017, at 1:02pm PDT, with an instantaneous launch window. All planned Iridium NEXT launches will take place from SpaceX's west coast launch facility at Vandenberg Air Force Base (VAFB) in California, on Falcon 9 rockets. SpaceX launched the last of telecom satellite operator Inmarsat’s first-generation Global Xpress satellites May 15 on a mission where SpaceX did not attempt to recover the Falcon 9 rocket’s first stage. The Falcon 9 lifted off from Launch Complex 39A at the Kennedy Space Center in Florida on schedule at 7:21 p.m. Eastern, releasing the Inmarsat-5 F4 satellite into a geostationary transfer orbit nearly 32 minutes later. The decision to conduct an expendable launch, now seen as rare for the Hawthorne, California, company that has landed 10 first stage boosters after their respective missions, was because of the satellite’s mass, the heaviest geostationary orbit satellite launched to date by SpaceX. NASA astronauts on the International Space Station will carry out an unplanned spacewalk May 23 to replace an electronics box that failed over the weekend, the agency announced May 21. Astronauts Jack Fischer and Peggy Whitson will perform the spacewalk to remove a data relay box known as a multiplexer-demultiplexer (MDM) on the station’s truss, which controls the operation of solar arrays and other hardware on the station’s exterior. The failed MDM, designed MDM-1, is one of two such fully-redundant units. Arianespace announced that it successfully launched the SES 15 satellite onboard a Soyuz rocket from the Guiana Space Center in Kourou, French Guiana. This is SES’ first satellite to launch on a Soyuz rocket for a Geostationary Transfer Orbit (GTO) mission. SES 15 carries a hybrid payload, comprising Ku-band wide beams and Ku-band High-Throughput Satellite (HTS) capability, with connectivity to gateways in Ka-band. The satellite will be located at the orbital position of 129 degrees west and is equipped with 16 Ku-band transponders (36 MHz equivalent) as well as HTS capabilities to serve North America, Mexico, Central America and the Caribbean. 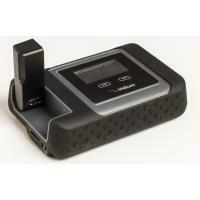 Thuraya Telecommunications announced the launch of the Thuraya WE satellite and LTE portable Wi-Fi hotspot to meet the growing global demand for wireless data connectivity. Developed in collaboration with Beam Communications, Thuraya WE bridges the gap between satellite and Global System for Mobile Communication (GSM) broadband services, according to the company. The terminal facilitates seamless roaming for consumers from satellite to terrestrial LTE services or vice versa, either via a Thuraya Subscriber Identity Module (SIM) card or a standard GSM SIM card from any of Thuraya’s 395 worldwide GSM roaming partners. Gilat Satellite Networks announced that its In-Flight Connectivity (IFC) solution demonstrated end-user throughput of more than 100Mbps during Gogo’s live airborne media and investor event. Gilat’s aero modem powers Gogo’s 2Ku service and will be installed in more than 1,600 aircraft across more than 13 airlines, commencing this year, according to the company. On May 9, Gogo hosted an industry event on its Boeing 737 test plane, the “Jimmy Ray.” The test flight not only confirmed its throughput and user experience, but also successfully demonstrated interoperability capabilities of Gilat’s aero modem with the aircraft’s communication avionics system. How secure are ship networks from cyber attack? How secure are your onboard networks? Do you know that your ships are secure from cyber threats? Some shipowners will know the answers. Others may have a fair idea and plenty will just shrug their shoulders and say ‘yes’ – but they probably don’t know. Consultants are saying it is only a matter of time before hackers gain control of essential bridge equipment and cause some type of marine accident. There are many potential digital threats the industry faces. There are probably just as many cyber security solutions out there. So, which one is the best for protecting ships? It depends on what is needed and the sophistication of the ship’s network and connectivity. Fifth-generation wireless technology is making inroads in the United States and beyond. The two biggest U.S. carriers, Verizon and AT&T, are doing marketwide deployments, while the North Carolina General Assembly is considering a bill to expedite the 5G roll-out there, and South Korea’s largest phone company intends to offer 5G services in time for the 2018 Winter Olympics. AT&T is targeting 20 U.S. cities for 5G roll-outs this year, starting with the April 25 launch in Austin, on Samsung Galaxy S8 and S8+devices. Indianapolis will 5G’d this summer, followed by “Atlanta, Boston, Chicago, Los Angeles, Nashville, San Francisco and others” AT&T said. 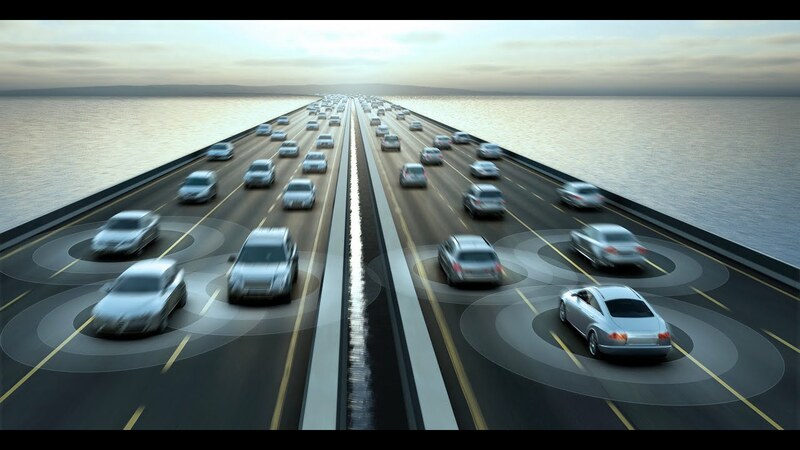 Technology alone is not enough to roll out connected cars in Europe, auto-industry and European Union experts agree. The key, speakers say during the “Connected Cars Europe 2017” conference in Brussels, is connecting automobiles to their commercial and social environment and getting all actors on board. “Connected mobility will only work as an ecosystem based on the collaboration of governments, industry players and industry associations,” Nigel Upton, senior worldwide director-Internet of Things and global connectivity platform at Hewlett Packard Enterprise, tells WardsAuto. Certainly, there is enthusiasm at the European Commission, the EU’s executive arm. Elysium Space, the San Francisco startup that sends cremated remains into orbit, announced plans May 16 to launch its Elysium Star 2 memorial spacecraft on a SpaceX Falcon 9 rocket rideshare mission next year from Vandenberg Air Force Base in California. If the rocket reaches orbit, it will be the firm’s first successful spaceflight. 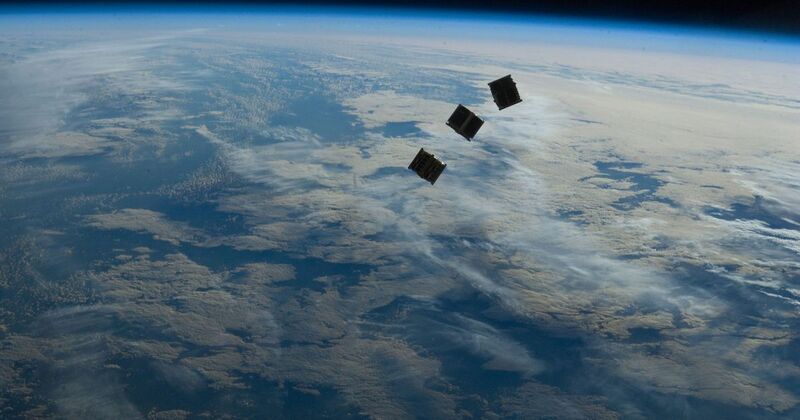 Elysium Space attempted to send a cubesat into orbit in 2015 on the maiden flight of the U.S. Air Force Super Strypi rocket. When that launch failed, Elysium invited customers who provided remains for that flight to join the next mission. 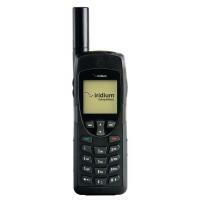 Only 20 years ago, iridium was getting ready to launch their first satellites into orbit. And now, after launching a new set of satellites to begin replacing the constellation, they are celebrating their historic accomplishments. Here is a recap of the Delta 2 launch of Iridium’s first 5 satellites into orbit in 1997. 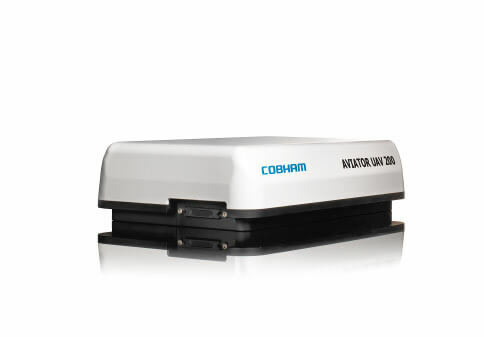 Cobham SATCOM has announced successful live video transmission trials over the AVIATOR UAV 200 low SWAP satcom terminal. The launch for London-based Inmarsat on Monday is the first of four SpaceX missions slated to blast off by the end of June from launch pads in Florida and California. The quick launch cadence, if achieved successfully, put a dent in SpaceX’s backlogged manifest, which officials say stands at 70 missions worth more than $10 billion, figures that apparently include the company’s lucrative contract to develop a human-rated spaceship to ferry astronauts to the International Space Station. Rocket Lab, the U.S.-New Zealand company developing the Electron small launch vehicle, plans to carry out its first flight in a window that opens May 21. The company announced May 14 that a 10-day window for the first Electron launch, which the company has dubbed “It’s a Test,” will open at 5 p.m. Eastern May 21 (9 a.m. local time May 22) from the company’s launch site at Mahia Peninsula on New Zealand’s North Island. The U.S. military could have access to a robust, competitive, low-cost launch market within five years with the proper investments, a group of experts said May 8 at an event hosted by the Air Force Association’s Mitchell Institute for Aerospace Studies. Space Systems Loral (SSL) announced that the BulgariaSat 1 satellite, designed and built for Bulgaria Sat, has arrived at the Cape Canaveral Air Force Station, where it will launch aboard a flight-proven Falcon 9 in June. BulgariaSat 1 will be Bulgaria’s first satellite. BulgariaSat 1 will provide Direct-to-Home (DTH) television and telecommunications services in the Balkans and other European regions. The satellite carries 30 Ku-band Broadcasting Satellite Service (BSS) transponders to broaden the availability of services such as High Definition (HD) television. Based on the SSL 1300 platform, Bulgaria Sat expects the satellite to provide service for 15 years or more. Inmarsat and Cobham SATCOM today announced the launch of the Inmarsat SwiftBroadband unmanned aerial vehicle (SB-UAV) satellite communications service, intended for use with the Cobham SATCOM AVIATOR UAV 200 terminal. The new service was launched at AUVSI XPONENTIAL, an event dedicated to drones, intelligent robotics and unmanned systems, held at the Kay Bailey Hutchison Convention Centre, Dallas from 8th-11th May (Booth 1631). Unmanned aerial vehicles (UAVs) are the fastest-growing sector of the aerospace industry and governments are increasingly looking to harness the advantages that unmanned vehicles can provide. Globalstar Inc., which won U.S. approval to use its satellite airwaves for mobile broadband service, is working with financial advisers on a potential sale, people familiar with the matter said. Shares climbed 15.2 percent to $2.20 in New York at 1:35 p.m., giving the company a market value of about $2.5 billion. Launch rates in Asia are set to eclipse U.S. figures by 2025, showing that the region is on the path to reap significant returns. The benefits of Asia’s proliferation of smallsats include disaster management, agriculture, fast and affordable data, job creation and an expected new wave of business opportunities. Asia is in no shortage of superlatives. It’s the most populous region in the world and it’s the largest continent on the planet. The oldest civilizations, highest peaks, most crowded cities and tallest buildings are all found in Asia. And now, the region has a new record to add to its list: the most satellites launched in a single mission. Arianespace on May 4 completed its first launch since the end of French Guiana’s five-week protest during which demonstrators seeking France’s attention blocked access to the Europe’s South American spaceport. The mission, dubbed VA236, orbited two telecommunications satellites, one for Brazil and one for South Korea, on an Ariane 5 rocket from the Guiana Space Center. Brazil’s 5,700-kilogram Geostationary Defense and Strategic Communications satellite, or SGDC, separated first from the rocket, followed by the 3,700-kilogram Koreasat-7 for KTSat, the satellite arm of Korean telecom company KT Corp. Thales Alenia Space of France built both satellites. Hughes Network Systems announced the release of its new HM500 transportable terminal that enables rapid deployment by individual users for secure, portable communications. At a transport weight of less than 31 pounds, the terminal addresses the growing market trend of reduced Size, Weight and Power (SWaP) requirements. Designed with commercial satellite communications technology for defense and public safety missions, the HM500 terminal offers multi-band operation in a lightweight ruggedized package using pre-configured settings over one of multiple frequencies, including Ku-, Ka-, Mil Ka- and X-band. SpaceX’s vice president of satellite government affairs, testified before the United States Senate this week to outline the company’s plans to launch a high-speed broadband constellation of more than 4,000 satellites beginning in 2019. Last November, SpaceX filed an application with the Federal Communications Commission (FCC) to operate a new Non-Geostationary Satellite Orbit (NGSO) broadband internet constellation. The company hopes to tackle “the digital divide” and supply connectivity to the more than 34 million Americans (and other global rural communities) who lack access to 25Mbps broadband. A communications satellite built for a Bulgarian operator will be the second payload to launch on a previously-flown Falcon 9, that operator announced May 5. In a statement, BulgariaSat said its BulgariaSat-1 spacecraft is scheduled to launch in mid-June on a Falcon 9 from Cape Canaveral, Florida. The first stage of that Falcon 9 will be the same one that launched 10 Iridium Next satellites from Vandenberg Air Force Base in California in January. The company, previously known as Vector Space Systems, said an engineering model of its Vector-R rocket, designated P-19H, lifted off from a pad in California’s Mojave Desert at around 3 p.m. Eastern May 3. The test took place after the computers aborted an earlier attempt April 6 because an unspecified problem in the final seconds. Inmarsat announced the commercial service introduction of GX Aviation with Lufthansa Group, the launch customer of its next-generation in-flight broadband solution. Under a 10-year strategic partnership between Inmarsat and Lufthansa Group, approximately 300 Airbus A320 aircraft will be equipped with GX Aviation. To date, Inmarsat has completed 80 of the aircraft installations and customers can now purchase GX Aviation on selected Lufthansa and Austrian Airlines short and medium haul flights. Lufthansa Group’s low-cost carrier Eurowings is also set to launch its commercial services in the coming weeks. 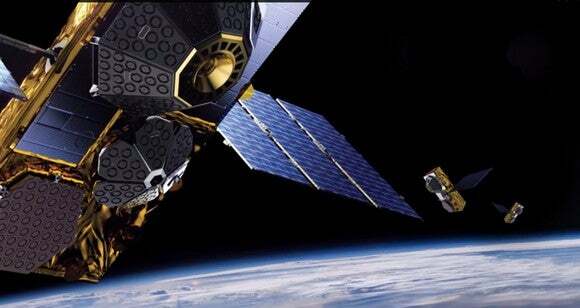 Iridium Communications has announced that the first set of Iridium Next satellites have been integrated into the operational constellation and are providing service to Iridium customers. In addition, Iridium has announced the targeted launch date for the second payload of 10 Iridium Next satellites as June 29, 2017, at 1:02 p.m. PDT, with an instantaneous launch window. Prior to achieving this program milestone, the new satellites went through testing and validation, which demonstrated they met all performance requirements, the company stated. According to Iridium, the Next satellites are already providing superior call quality and faster data speeds with increased capacity to Iridium customers. All planned Iridium Next launches will take place from SpaceX’s west coast launch facility at Vandenberg Air Force Base in California, on Falcon 9 rockets. SpaceX launched its first spy satellite Monday, after a 24-hour hold to check out a sensor on the first stage of the Falcon 9 rocket. The rocket lifted off at 7:15 am Eastern, aboard a Falcon 9 that took off from the company’s Launch Complex 39A at Kennedy Space Center, Florida. Nine minutes later, the Falcon 9 reusable first stage touched down at Landing Zone 1 at neighboring Cape Canaveral Air Force Station. It’s the fourth time the company has recovered a first stage booster after launch. The Tianzhou-1, China's first cargo spacecraft, launched on April 20 and completed the first of three planned docking attempts with the orbiting Tiangong-2 spacelab two days later, state media reported. The successful five-day refueling, directed from technicians on Earth and completed on Thursday, is a key milestone toward China's plans to begin sending crews to a permanent space station by 2022. Great news for Cassini fans: The NASA spacecraft sent word that it successfully completed its first pass through the uncharted territory between Saturn and its rings late Wednesday. Hopefully the next 21 orbits through this never-before-explored space will be just as successful. More than 100 members of the Cassini team and their families gathered in the Von Karman Auditorium at the Jet Propulsion Laboratory in La Cañada Flintridge to await the news. Deep Space Industries (DSI) hopes to revolutionize the smallsat industry by developing new propulsion systems based on non-toxic fuel. The company plans to test its Comet 1 line of water-based thrusters on three Hawkeye 360 smallsats, set to launch later this year aboard a Falcon 9 as part of Spaceflight Industries’ inaugural dedicated rideshare mission, Sun-Synchronous Orbit A (SSO-A). According to Grant Bonin, Deep Space Industries’ Chief Technology Officer (CTO), new propulsion systems are just an incremental step in the company’s grander plan of enabling humans to live and work in outer space. Bonin believes the kinds of technology the company is developing — propulsion systems, radiation-tolerant avionics, optical navigation — will be necessary to unlock capabilities such as mining asteroids or creating off-planet settlements. Marlink has expanded its Sealink Very Small Aperture Terminal (VSAT) portfolio with new service plans specially designed for the business needs of maritime customers. Marlink created the new Sealink Business to meet the operational and crew communication requirements for maritime customers of all segments and features a choice of Committed Information Rates (CIR) to guarantee constant minimum bandwidth at all times. According to Marlink, the service plans enable digitalization of vessel operations by ensuring fixed bandwidth is always available for applications and processes that contribute to more efficiency throughout the shipping value chain. It will take more than six years to get there. 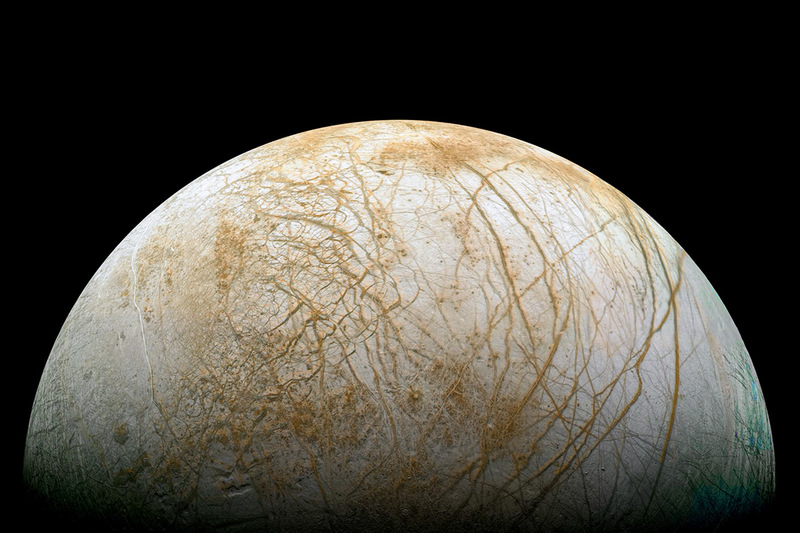 But if long-anticipated signs of life are found on Europa, a newly-proposed joint American-European trek to the enigmatic moon of Jupiter will have been worth it. Called the Joint Europa Mission, the proposal was unveiled on 24 April by Michel Blanc from France’s Research Institute in Astrophysics and Planetology in Toulouse. At the annual European Geosciences Union meeting in Vienna, Austria, Blanc suggested NASA and the European Space Agency could join forces to plan and mount the mission, which could launch in the mid-2020s.